Admission Price for the game – $5. Tickets may be purchased online by clicking HERE or before the game. You may purchase a lunch before the game. Enjoy a return of favorite Withrow Tigers taking on alums from the cross-town rival Bulldogs. 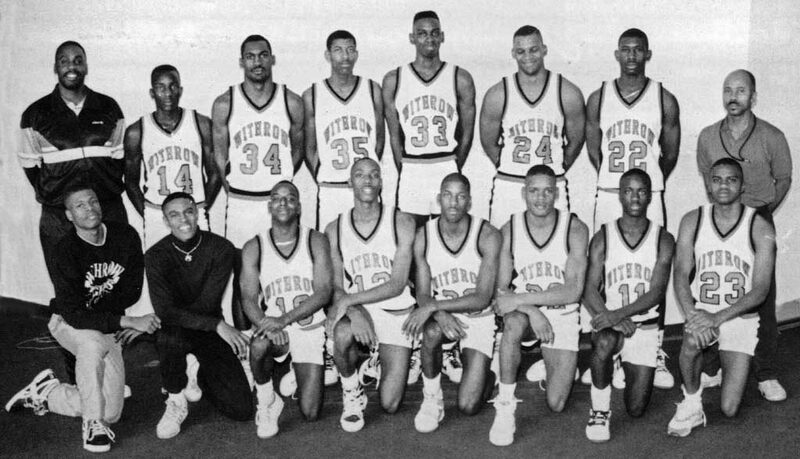 This once-in-a-lifetime basketball showdown features former Withrow All-Americans Yancy Gates, Chris Knight, Anthony McBride, Rozelle Nix, Devin Williams, Tiger Hoop Legends Rick Calloway, Coach George Jackson and more. Additionally, the halftime showcase includes an epic slam dunk contest, 3-point shootout plus performances from the Withrow Cheerleaders and Band! The details of this event are being planned by, left to right below, Steve Gentry ’89, Regina Williams ’84, Michael Boggan ’82, Joanne Stenson Sawyer ’84, Damon George ’88 and Terrence West ’90. Proceeds from the event will benefit the Withrow Athletic Program.